Last year just after New Years, before returning to the grind, three friends and I set out on an impromptu adventure, heading forty miles North of Santa Barbara to the wine region made popular by tourist Danish village Solvang, a little flick called Sideways, and some damn good wines - The Santa Ynez wine country. After a delightful romp through the tasting rooms of several roadside vineyards off Highway 246 and the Solvang streets, we settled more comfortably in the quaint, more mature (and tasteful) town to the North, Los Olivos. 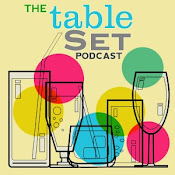 We each even enthusiastically [read: intoxicatedly] joined the wine club at our last stop, in the humble main drag tasting room of Daniel Gehrs. After an incredible leisurely dinner at Brother's Restaurant at Mattei's Tavern, we returned to our hotel satiated from the bounty of this rich valley. But there was one region we barely touched on that I knew would prove much more fulfilling upon revisit. 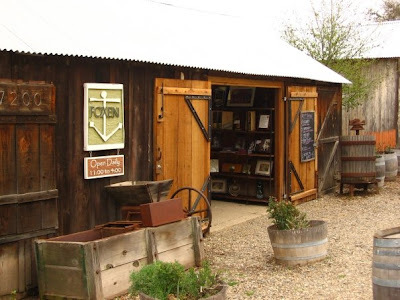 Just North of Los Olivos and Mattei's is a windy two lane country road leading to the source of many of the tasting room's wares, the Foxen Canyon Wine Trail. All along the picturesque anicent oak studded hills are nestled modest vineyards (OK, and Firestone) producing some of the region's best Chardonnay, Pinot Noir, Viognier, Syrah and Cab Franc. I appreciate that for my Daniel Gehrs wine membership (technically I am in their Port Club - STELLAR ports) whenever my quarterly shipments are available, I get a postcard for pickup. Sure they could be shipped for an additional fee, but there's something about "having" to drive up to Los Olivos several times a year that quite appeals to me. So I pretend that's my only option and plan accordingly. A couple of weekends ago, I decided Saturday was the day to pick up my wine. One of my friends from the previous trip had club wine ready as well, so we hit the road nice and early, coasting into Los Olivos by 11am. After filling nearly a case with our club shipments (my friend hadn't picked up any of his wine the whole year) and enjoying our complimentary member tasting, we hit the Qupé tasting room just up Grand Ave for some earthy Rhônes, and then the Los Olivos Grocery to finish packing our perfect wine country picnic lunch (that we never got around to enjoying). And off into the Canyon we went! 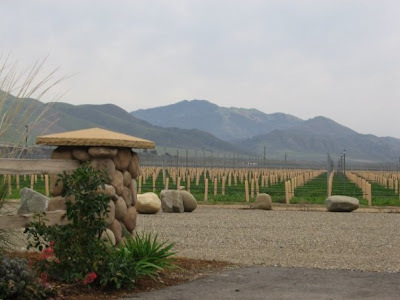 We bypassed the first several vineyards, those which we hit last year, including the popular Fess Parker, trendy Andrew Murray and rustic Koehler Winery. Koehler's elegant Viognier was one of my favorite tastings and purchases from the previous trip out, well worth a stop. 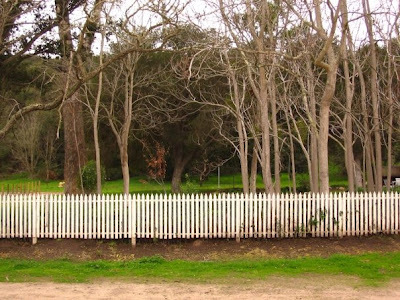 We pulled over alongside a weathered picket fence to try one of the vineyards a local woman at Daniel Gehrs had suggested, the aptly named Foxen Vineyard. Immediately charmed by its provincial shed-like tasting room and tastefully rudimentary logo/design, the roars of content laughter and conversation coming from inside were even a better indicator. 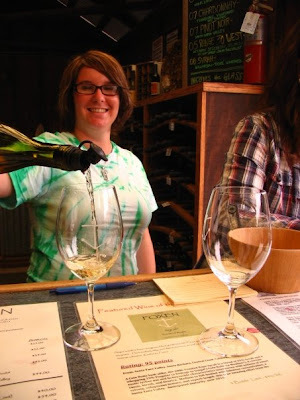 Our sunny, good-natured (and tie-dyed) wine pourer made us feel immediately part of the pack here, and one after another poured impressive wines. A rather enthusiastic [read: intoxicated] woman insisted on taking our photos with my camera and was quite the chatty cathy. She suggested Riverbench and Rancho Sisquoc further up the road for "our tastes" (detecting snobbery), so once I wrangled my camera back and evaded her (and her eye-rolling husband) in the crowd, we headed to the car with a semblance of a plan. The clouds had thickened and a definite chill was settling into the valleys. Riverbench just up the road is a sprawling estate with gorgeous panoramic views and a contemporary farmhouse tasting room. They specialize in estate-grown Chardonnays and Pinot Noirs, so I opted for the Pinot flight (love Pinot, not a huge Chard fan). Interrupting our relaxed tasting was the woman from Foxen, obvious even more tipsy (and LOUDER) than when we last met. We hurried through our flight as the woman behind the bar widened her eyes and whispered through clenched teeth to my friend that she would pay us to leave and take "our friend". We ducked out with a wink and hurried back into the darkening day to continue the tour. 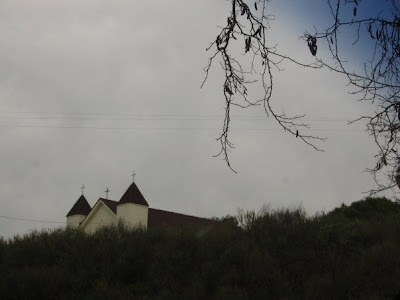 Rancho Sisquoc was next, and sits off the main road a short ways down a one lane dirt road, past brambly foliage, a decrepit church and a shuttered home covered in cow skulls and PRIVATE KEEP OUT signs.. all of which in the shadowy calm before the storm was rather.. foreboding. We pulled up to the barn-like tasting room and were greeted with- well, in fact we weren't greeted. A few unfriendly couples tasted quietly, echoing the creepiness outside. Once we finally got the wine pourer's attention, she seemed rather irritated to help us. The wines we tasted were decent, but nothing stood out terribly until the final pour, which was a limited library wine club exclusive blend, available to us on special. It was actually quite round and palatable; a perfect table wine (which I took to a dinner party a week later, garnering unanimous praise). We also enjoyed Sisquoc's toothsome little wine biscuits, which were slightly sweet and a perfect foil between tastes (much better than the cardboard water crackers elsewhere). But we left without a thank you or a goodbye, all they wanted were our CC receipts; a rather drab end to our tour... So we didn't end there! 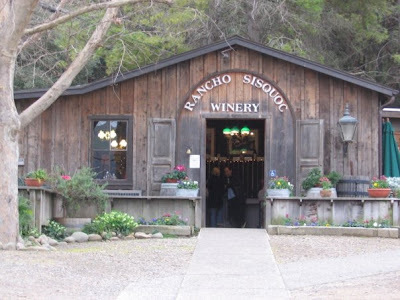 We called around and Tres Hermanas Winery was tasting until 6:00pm, and on our way back toward town. Voilà! 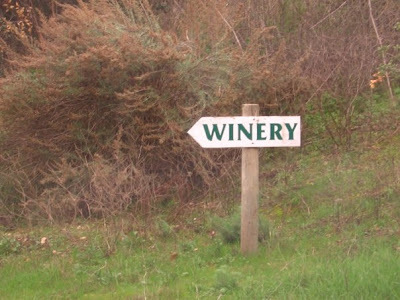 To be honest I can't recall most of what we tasted here, but did end up buying a bottle of the 2006 Rosé of Syrah, the only thing that really stood out to me. Meanwhile my friend couldn't let go of how WHITE our wine pourer's teeth were, which made everyone laugh. "But you drink WINE all day..?!?" He insisted. It had begun to rain outside and was getting dark fast. We certainly needed a fulfilling meal and a rest before anyone would be driving home, especially in rain. We retired to our beloved Mattei's Tavern at the base of the Trail for a bite in the bar (reservations generally required to get a table in the restaurant). The crackling fire and warming scent of wood-fire-cooked food brought my tired tastebuds instantly back to life. We settled into a table in the dark bar and opened a bottle of Daniel Gehr's Cabernet to have with our giant Kobe burgers. This is happiness, I thought. After an espresso and near perfect creme brulée (I am a connoisseur! ), we were ready to head back LA. And by that I mean only that we could no longer afford our adopted lifestyle. Lazy Sunday beckoned. 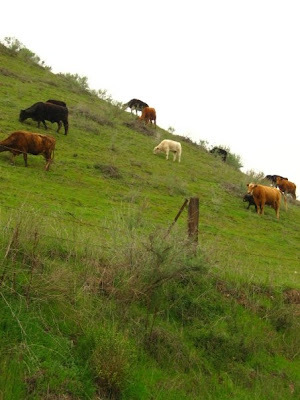 But it always helps leaving knowing that in another 2 months a cream-colored postcard will arrive in the mailbox inviting me back for a friendly and carefree day in the hills, relishing in the sights, smells and tastes of the rich Santa Ynez Valley countryside. Disclaimer: Please drive responsibly! The country roads are narrow and windy. Also, it is not rude to spit out your wine tastes, consider especially if you're the driver. If you do drink too much, get a hotel room for the night and take a cab if you go out for dinner (the best cabbie I've ever had was in Buellton last year). 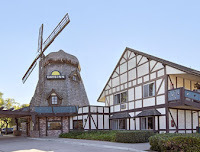 The Days Inn Buellton-Solvang (the windmill hotel just off the 101) is an inexpensive alternative to the boutique "winery suites"-type rip-offs in Solvang, and just a short drive from everything). 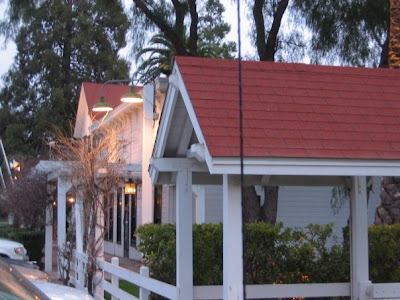 If you do stay the night there, hit up Ellen's Danish Pancake House in Buellton for a robust homecooked breakfast before the drive home! Get there: From LA take the 101-N just past Santa Barbara to Highway 154, a scenic pass that will take you through Los Padres National Forest and alonside tranquil Lake Cachuma. 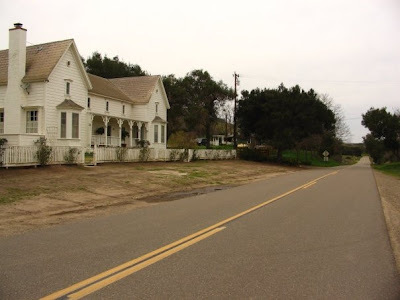 Once you reach Highway 246, turn left to head into Santa Ynez and Solvang, or keep straight on the 154 and you'll hit Los Olivos and the Foxen Canyon Trail. If you're staying in Buellton, take the 101 all the way up along the coast until you hit Highway 246 and you're there. 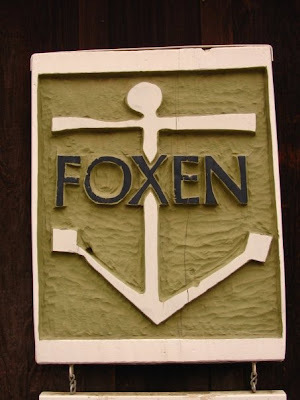 Isn't Foxen Canyon the winery depicted in Sideways, where the guys met the Sandra Oh character (in place of your tie-dyed pourer)? I'm pretty sure it is.